So you’re wondering, What is a Beachbody Coach? If you can really make money and help people all with no prior experience in the health and fitness industry? Well Im going to really break it down for you. I’ve attached a couple of short videos for you to get a visual and Im going to hit some of the most important parts that I wanted to know about when I became a Beachbody Coach. A person who is simply ready to get in shape and/or try new things, and make a living all at the same time. You don’t have to be in perfect shape, or for that matter be in shape at all. All you need is the willingness to want to get in better shape. There is absolutely no experience necessary to be a coach. Thats basically it! Let me explain a little more. This was a great picture of just a few (I mean a few!) 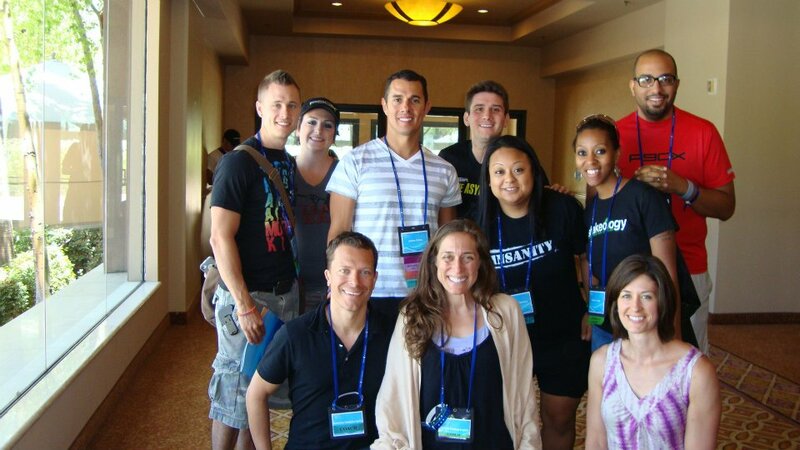 members of my team at the Coach Summit training last year. Qualities that I look for when talking to someone about becoming a Beachbody Coach. Since Beachbody is a Health and fitness industry, a person should want to workout with the fitness programs that Beachbody provides. It doesn’t however mean that you have to be in perfect shape. Lots of people make the comment that “I can’t be a coach because they aren’t in shape. Who’s gonna listen me?” Thats so not what a Beachbody Coach represents. You don’t have to be in shape to become a coach. Its all about growing and learning. Its about the journey and being able to relate to people. This goes right along with #1. You don’t have to be healthy, but you need to be looking to better yourself. 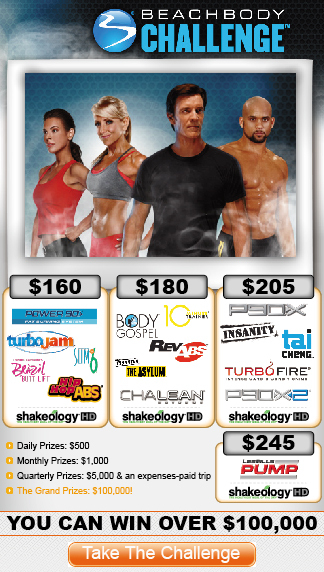 Beachbody is the #1 home fitness and nutrition company. So your willingness to start leading a more healthy lifestyle is key if your considering being a Coach. One of your rolls as a Coach it to help others achieve there health and fitness goals. Now this doesn’t mean that you have to physically drive to someones house and teach them how to workout or show them what to eat. You may be learning all this stuff too. The main thing is to encourage others to make that all-imortant first step. Beachbody takes care of all the other stuff for you. 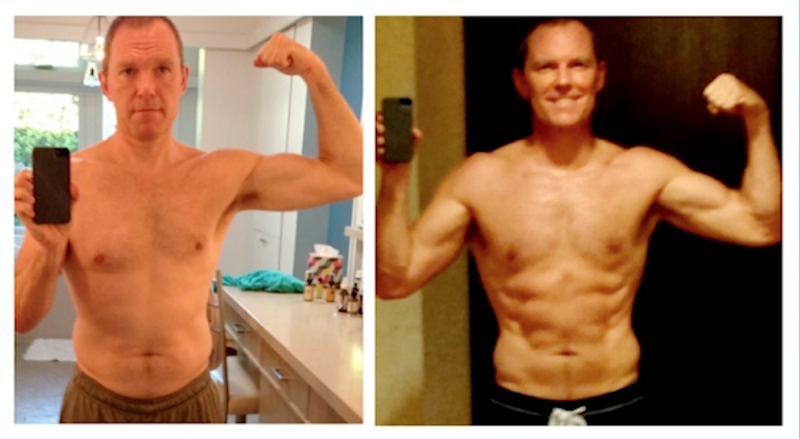 P90X for example, Tony Horton is the Trainer. He walks through each move in P90X even showing modified moves for those who may not be able to do certain things in the beginning. So see, you don’t need to be a fitness expert, all you need to do is help people by using the recourse that Beachbody has given us. Also with P90X (and all the other amazing Beachbody workouts) comes a meal planner. It has step-by-step instructions on how to fix healthy meals. So once again, you don’t need to be a nutrition expert either. All that work has already been taken care of, by the real experts. All you have to do is be willing to use your recourses to help other in finding which program will work best for what they need. Also Shakeology is becoming a Household name. Its the easiest meal that you can prepare also the healthiest! There is absolutely no guesswork at all when it comes to Shakeology! The title really says it all. As a Coach you have the ability to work where ever you want! As a coach you earn 25% each time someone decides they want to get healthy and get in shape. Its that simple! 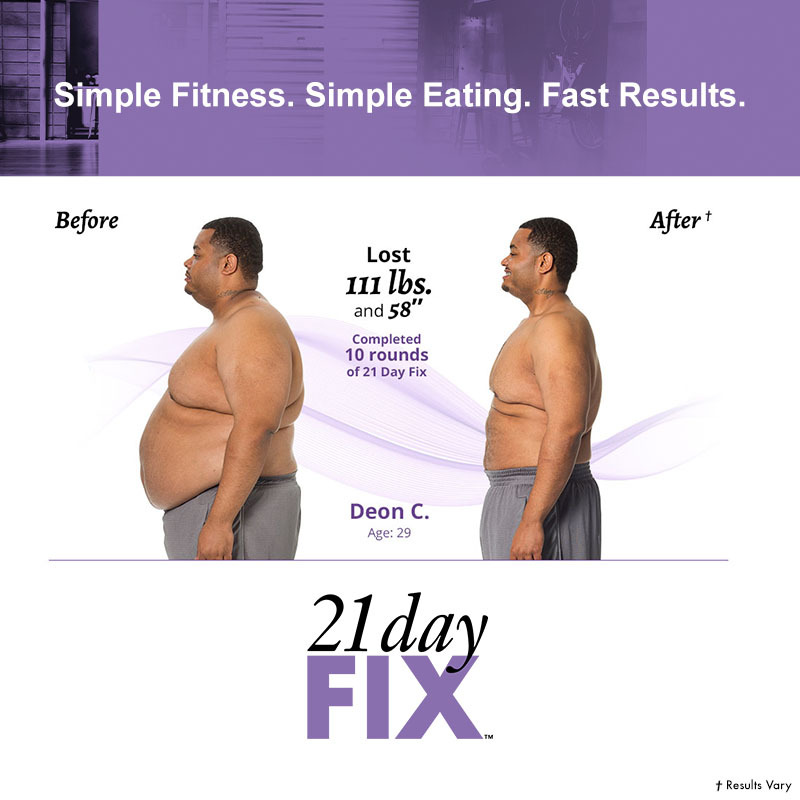 Beachbody has made it really easy for people to do it too! As a Coach you’ll get your very own personal website that people can go to to get there favorite workout, Shakeology or they can even become a Coach also by signing up at your site! This is just a simple fact. When you’re talking to people and try to offer a great solution to something that they’re unhappy about, sometimes you’re going to hear the word No. Not interested. No thanks! It sounds to hard! I don’t have time, and the list goes on. This is something that I like people to know upfront. Sometimes it just takes people longer to make a decision. So if someone tells you No, just say OK, and then revisit them 6-12 months down the road. You can’t take it personal. The decision to become healthy and fit is a decision that you and you alone have to make for yourself. A job is something that you have to get up and do. Most of us get up out of bed, get dressed pack a lunch and head off to work from 9-5 or when ever. At your job you have responsibilities and you get told what to do each day. You answer to someone, and they set the rules. In the end you’re working to build someone else’s DREAM! If you own your own business then its something that you enjoy! Its not a job. You need to have an entrepreneurial mindset, or at least be willing to learn how to have one. You’ll set the rules, you’ll answer only to yourself. Your production and income will be based on what you put in. And the best part is if your working for yourself then you’re building your dreams, not someone else’s! And the best part is you can work whenever and where ever you want! Becoming a business owner can be a little scary in the beginning! That’s why you have to be willing to learn. Beachbody once again has made it really easy by have tons of resources, motivational/strategy calls, video trainings and conferences all at your fingertips! If your eager and willing to learn then your gonna do great at being a Coach! As a Coach, I personally like to see what other successful people do, and follow in there footsteps. Lets face it, if you don’t like people then I wouldn’t recommend becoming a Coach. I don’t sale anything. Yes people do buy stuff from me. I do make a commission when they do. But Im not a door to door salesperson. Those people don’t care. All they want is a sale. A Coach makes recommendations based on the tools we have and what the person is telling they want to accomplish. We don’t push people into buying something. We simply share what we are doing in our own lives, what’s worked for us, and the people we know and make a recommendation. Thats it! You’ve got to be excited! This is an amazing company to be apart of! The facts speak for themselves! You don’t have to jump up and down and scream, but you should be excited, because Beachbody gets great results, period! This is probably the most important one of all! In fact it kind-of contains a little bit from the 11 above. If you’re serious about becoming a Coach, you’ve got to be willing to walk-the-walk! You should be working out with one of Beacbody’s programs. It doesn’t mean that you have to do the extreme workouts like P90X or Insanity. But you should be doing something! Thats how you get experience. Thats how you learn to make the recommendations. Also you need to be willing to drink Shakeology everyday! How else can you tell someone how great it is, and how its working for you if you’re not drinking it yourself. We don’t lie to people. We’re 100% honest, and thats because we use it! Personally, if that isn’t something you can commit to, I wouldn’t become a Coach until you feel like you can. It’s that important! 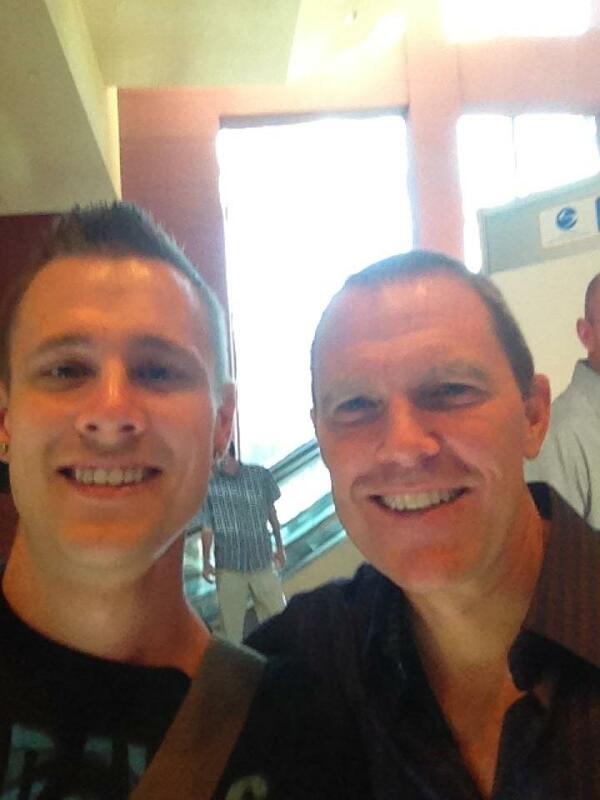 Oh and Beachbody isn’t some formal company that doesn’t respect their Coaches! 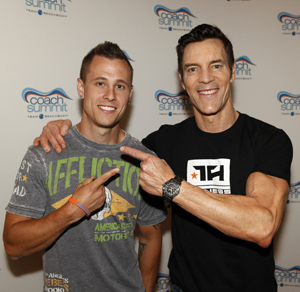 Heres another pic with the CEO of Beachbody Carl Diakeler at summit last year. He’s a busy man, but always makes time to chat with his people! Here are 2 videos that can give you a visual of what being a Beachbody Coach is like. If you’re ready to become a Beachbody Coach now, get in great shape and earn an income, then join me now, and together we’ll help to “End the Trend of Obesity in America” Become a Coach! If you’re ready to become a Coach and you need help choosing the right workout and flavor of Shakeology, I’ll be glad to make some recommendations for you. After you watch these short videos look at the bottom and I’ll tell you the cost to getting started. How do I sign up to become a Beachbody Coach and is there a Fee? There is no fee when you sign up as a Coach with a Challenge Pack. You can see a list of the Packs here. If you decide you only want to sign up with Shakeology on home direct then there is a 1 time signup fee of only $39.95. 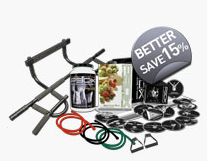 As a Coach you’ll also get a 25% discount on anything you get from Beachbody! If your seriously ready to do this, I’d love to chat with you, to help you get started. Get ready for change. Get ready to take back your life! This is the best decision I’ve ever made! As promised, here is a Body Beast Review of the Supplements and Equipment. See what you can use and what you shouldn’t skip out on. Gain muscle mass with body beast! I did a post previously reviewing the Body Beast supplements and the equipment that you would need to do the Body Beast workout, but I wanted to go a little further and really show you a visual of what you need and why it’s important not to skip out on some of the equipment. I also quickly run through the Body Beast “Book of the Beast”, both the schedule for the Lean Beast workout and the Huge Beast workout. I did however forget to mention the Workout Sheets! When you start the Beast workout you must, must have the workout sheets that go along with it. It’s so important to track your results so that when you do the workout again the following week, you’ll know what you did before, and what you need to improve on. Download your Body Beast workout sheets here. Again I did do a detailed post of this so some of the information is just repeated in the video, but I sometimes find it easier to relate to something better when I can actually see it. Anyway check out this video, its about 12 minutes, which seems long, but I actually think all the information I went through kinda fast. If there is any one topic you would like for me to post on, please leave me a comment below, and I’ll be glad to post on that next. Ready to Start Body Beast? See below for packages.